Mimana Iyar Chronicle is a console role-playing game developed by Kogado Studio and Premium Agency. 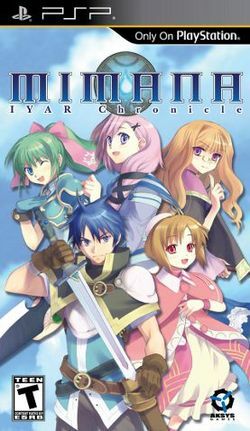 It was published in Japan by GungHo Works on February 26, 2009 and in North America by Aksys Games on March 30, 2010 for the PlayStation Portable. Now you can add videos, screenshots, or other images (cover scans, disc scans, etc.) for Mimana Iyar Chronicle (USA) to Emuparadise. Do it now!